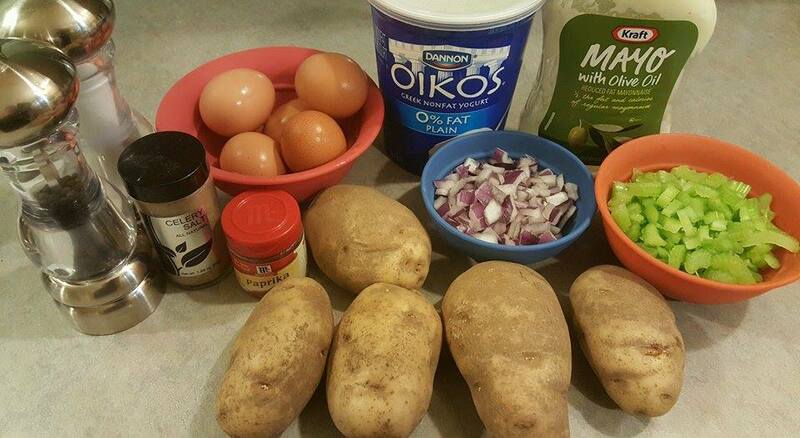 Okay, we’re going to get right to my perfect-for-summer Almost Classic Potato Salad recipe. It’s a definite crowd-pleaser and will have you feeling less guilty about mowing down on this cookout staple. PLUS it’s easy. What’s better than that?? Afterward I’ll post some modifications/preferences down below. Here we go! 2. 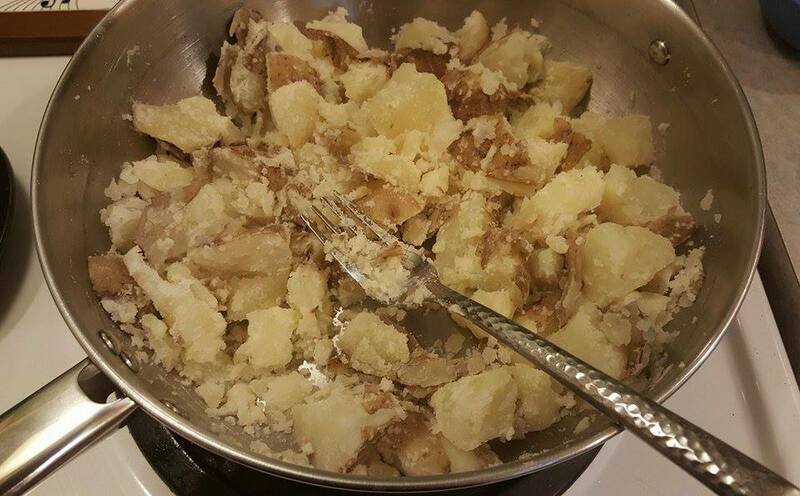 Scrub off potatoes and roughly cut them into fourths. 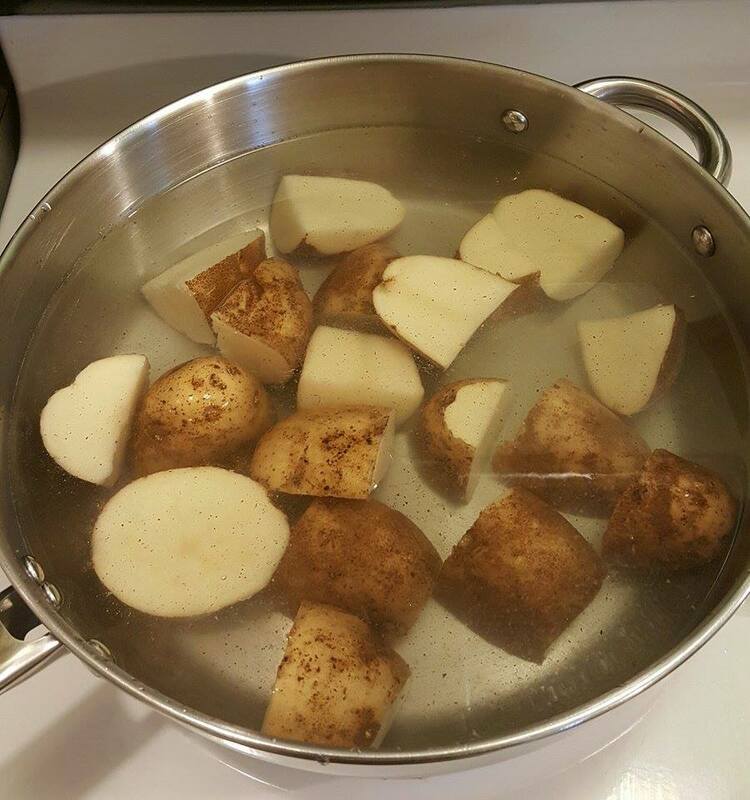 Put them on the stove in a pot of cold water and then bring them to a consistent boil for about 14-17 minutes or until easily pierced with a knife or fork. 3. Chop your onions (tear! 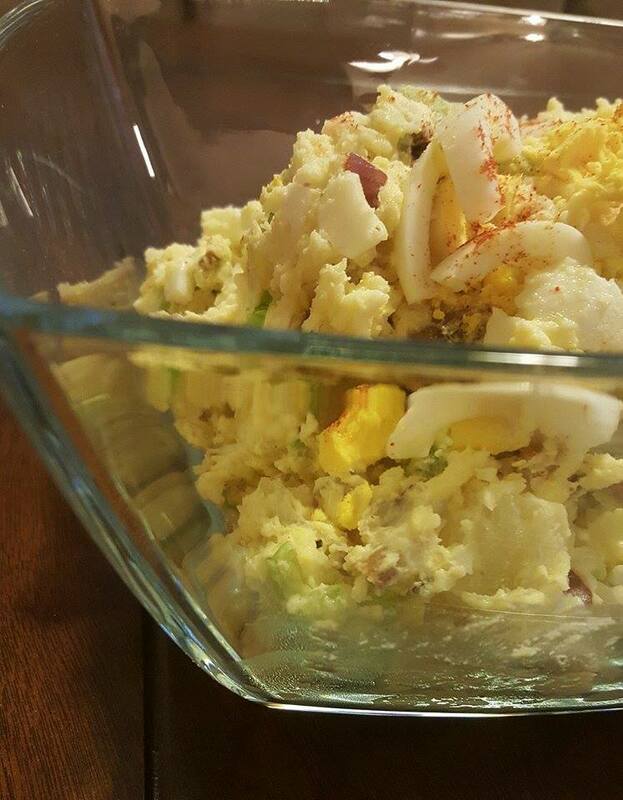 ), celery, and eggs. Set aside. 4. 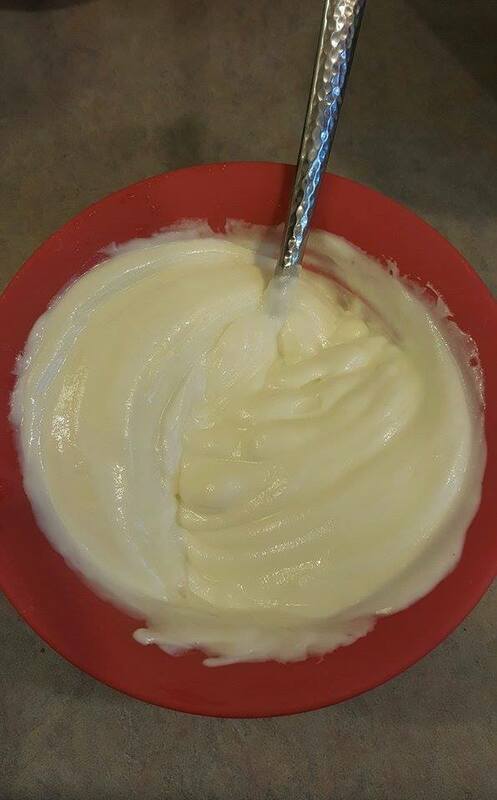 Mix the Greek yogurt with the mayo. 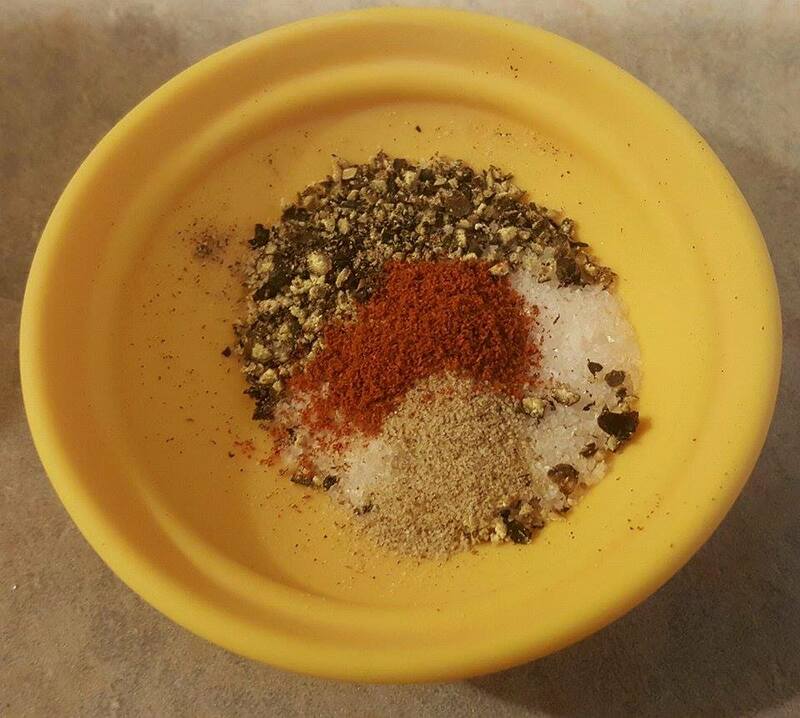 In a small separate bowl combine the dry ingredients and set aside. 5. Drain the potatoes and set them in a mixing bowl. 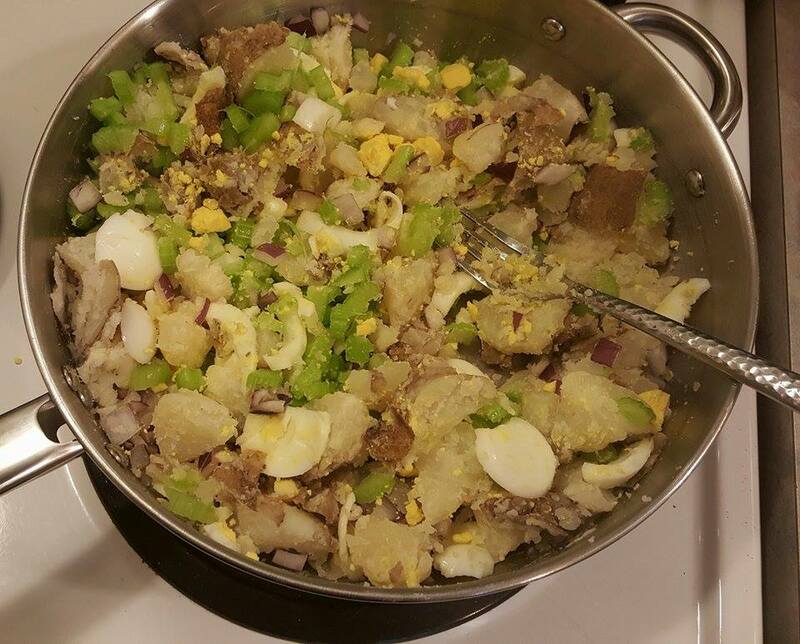 Break up the potatoes a bit before adding the celery, onions, and 4 of the eggs. Also stir in the Greek yogurt/mayo mixture, making sure it’s evenly dispersed before slowly mixing in the dry ingredients. 6. 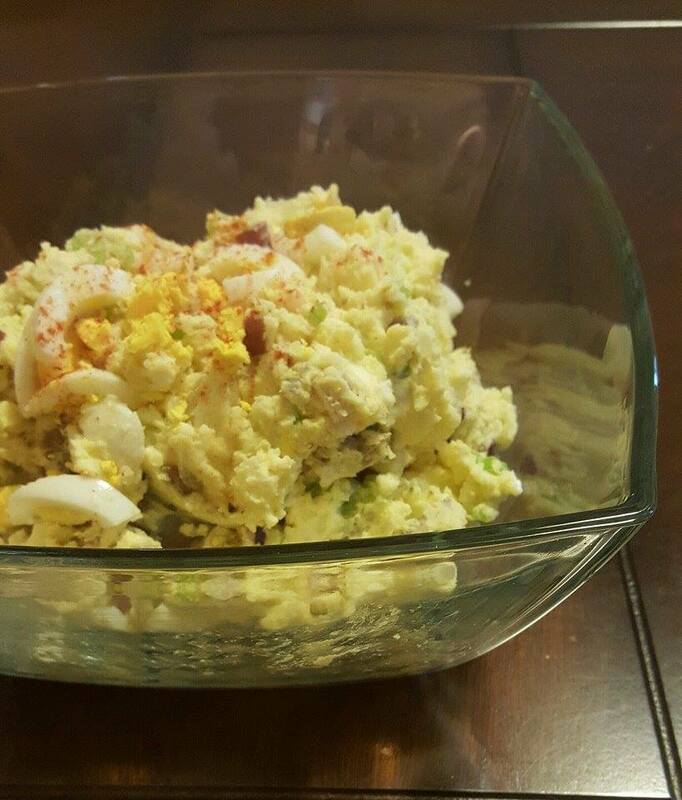 Place potato salad in a serving bowl. Top with 1 chopped egg and a sprinkle of paprika. Refrigerate for at least 2 hours and VOILA! 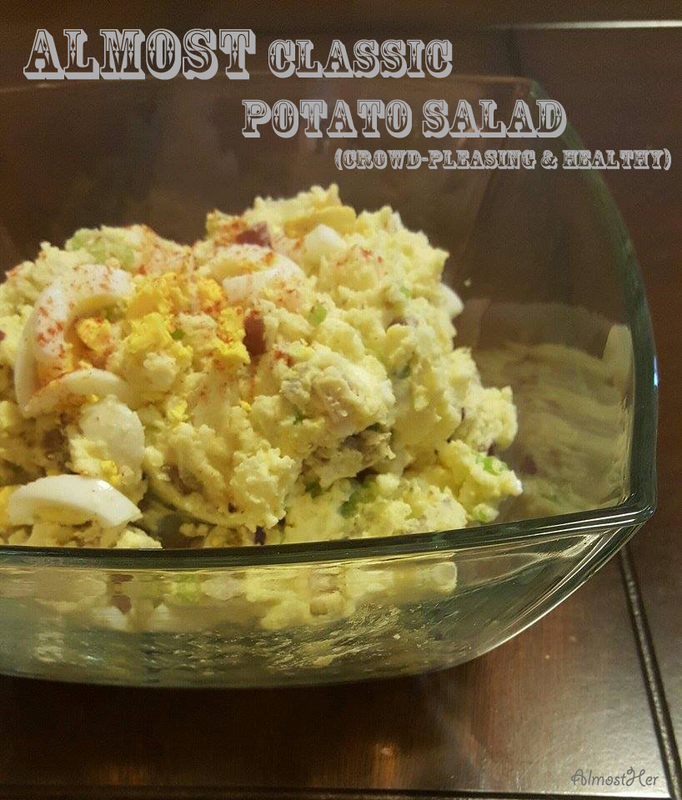 There you have your tasty salad that is great for picnics, parties, cookouts, etc. I made this over the weekend for Memorial Day and people were surprised it had mainly Greek yogurt providing the creamy goodness! Yummmm! Onions: I also used red onions for color and for the kick they provide, although I come from a family where many cannot eat onions. If that’s the case I omit the onions and instead add more celery to the mix. 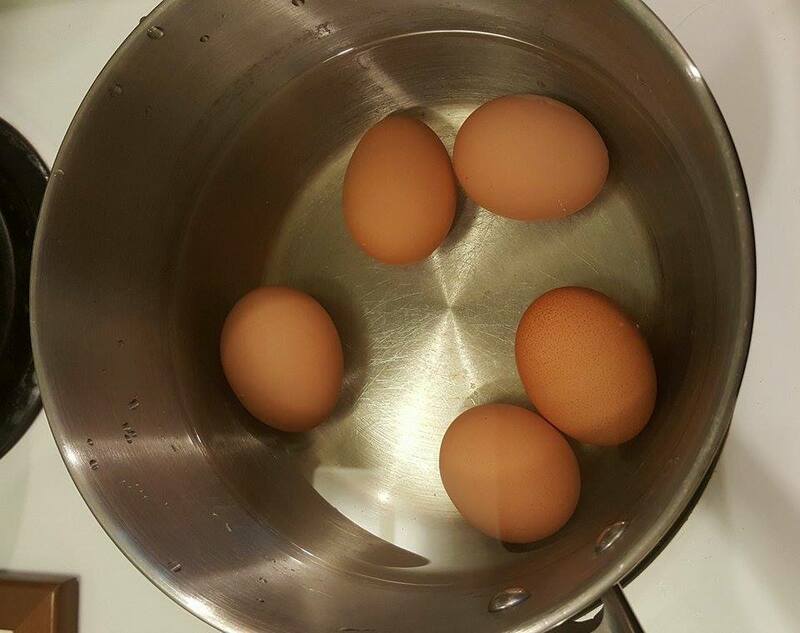 Healthier: To make this even lower calorie you can decrease the number of eggs, or instead substitute some of them for just the egg whites. You could also commit to going full-on Greek yogurt and no mayo. (You little adventurer, you!) Have fun with it! The best thing about this recipe is that it tastes so great, but you can play around with it based on your needs, which makes it super versatile and crowd-loving! Enjoy! !